Getting braces on can be an exciting experience – you’re on your way to your best possible smile! But, as with anything new, it can also be a little daunting. To help you be more excited than anxious about the process, we’ve outlined what you can typically expect during that important first visit to our Sugar Hill Orthodontists office. Paperwork: Any visit to a healthcare provider inevitably starts with the necessary paperwork. Be sure to fill out anything sent to you ahead of time before you arrive to save time. If there are remaining forms that need to be filled out, having your insurance and payment information handy also makes the process smoother. Of course, if you are under 18 years old, you’ll need signatures and information from your legal guardian during this appointment. Diagnostics: In order to come up with the best treatment plan, we’ll need to know what’s going on under the surface as well as on top of it. A great way to understand what needs to be done is to take x-rays and photos. The x-rays help us understand the state and position of your jaw, teeth, and bones. Photos help capture not only the “Before” shot, but your profile and facial positioning. Exam: Once we have photos, we’ll want to actually take a look at your teeth with an exam. This is a great opportunity for us to let you know if we think you would benefit from orthodontic treatments. There is a chance the time and money investment of braces wouldn’t make sense for minor issues, and we can help you figure out the best solutions. 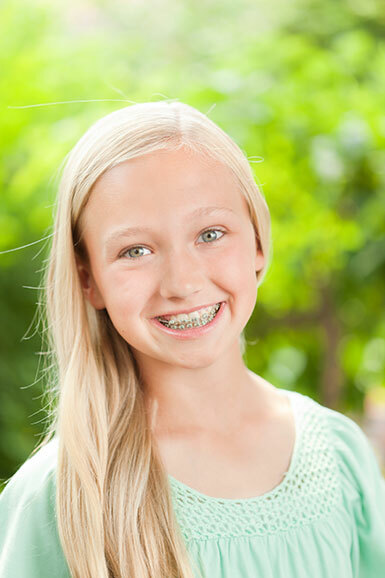 You may also be a great candidate for braces, but not for a few more years – this is especially common in children still waiting for their 12 year molars. Suit up: If we recommend that you are ready for braces and agree on a treatment and payment plan, we can either schedule another appointment to put on your braces or, in some cases, we can do it right then! It all depends on your readiness and availability. If you have any other questions about what to expect from our office or treatments, give us a call at (770) 945-2015.